Get outside this summer and enjoy the sun with these free projects and tutorials perfect for the beach from WeAllSew. 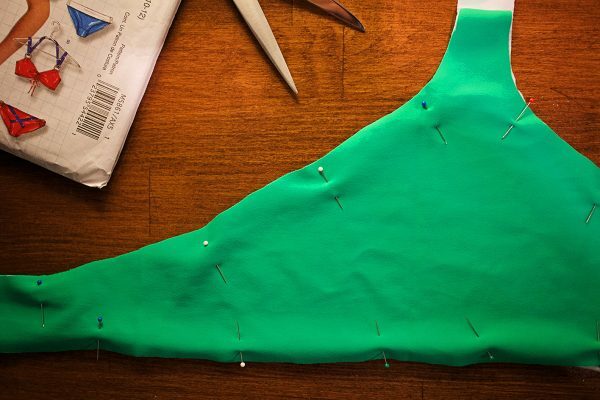 Sew your own tank top style bikini designed by Jenelle Montilone from TrashN2Tees. Jenelle created her Teekini Tankini from recycled tees but you can also use knit fabric. Find the Teekini Tankini Tutorial here. 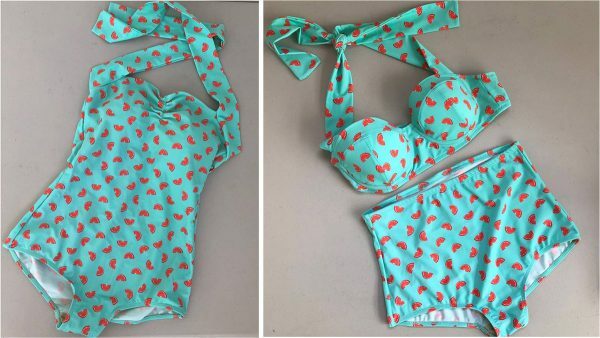 It can be a bit tricky to work with swimwear elastic, but Meg from Made By Meg shows you how to create a professional finish with these stretchy materials in the How to Sew Swimwear Elastic with a Coverstitch tutorial. You don’t need a serger to sew knit fabrics, and Mary Danielson Perry shares tips for Sewing Knits Without a Serger here at WeAllSew. 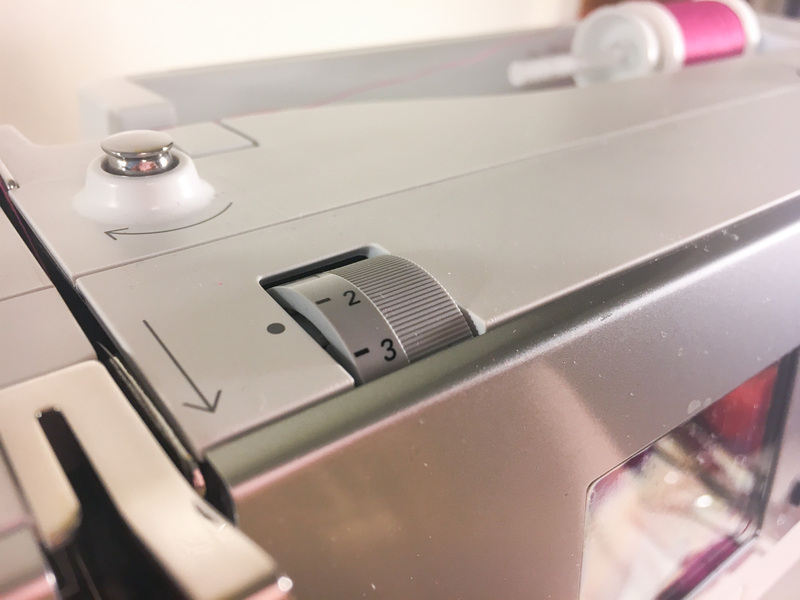 BERNINA Educator and sewing expert Jaime David shares tips for using the built-in BERNINA stretch stitch to sew swimwear in the First Stretch Stitch post here. This stylish yet simple to sew caftan was designed by Sara Johansen of The Sara Project as an easy to wear cover-up. 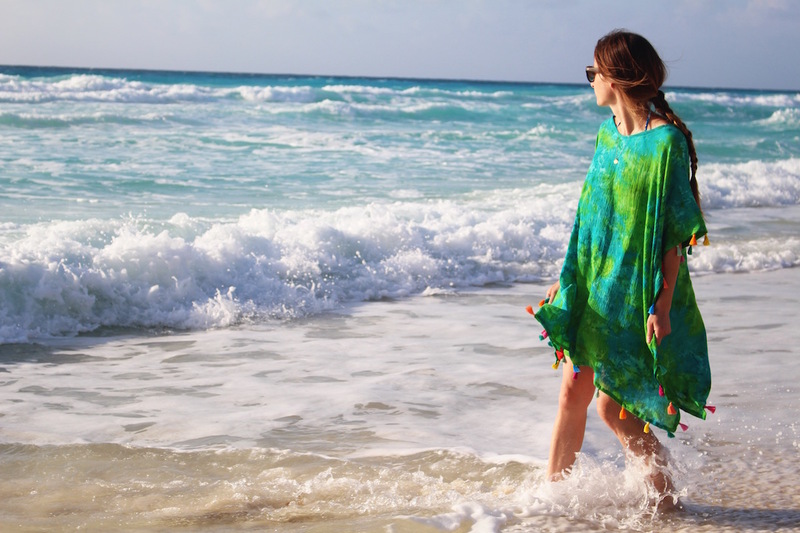 Learn how to make a Beach Caftan with Tassels here at WeAllSew. 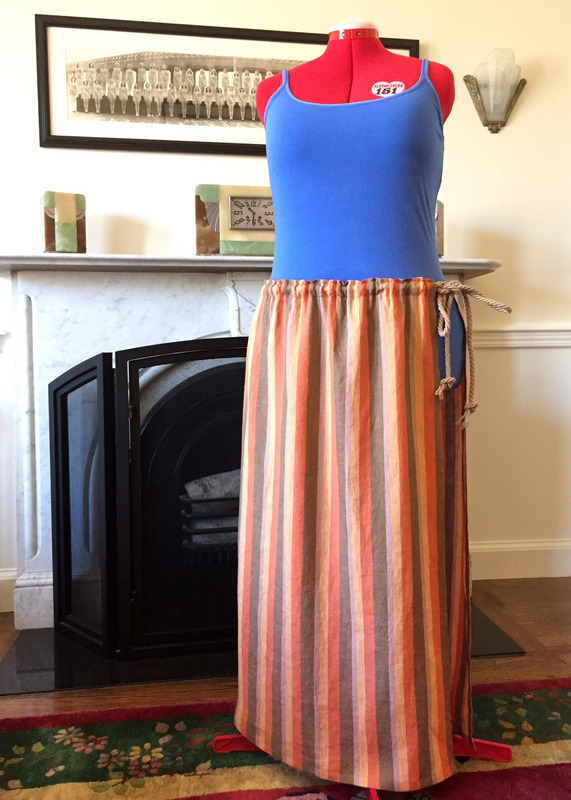 Make a simple maxi skirt wrap with Julie Eilber’s Retro Beach Wrap tutorial here at WeAllSew. Laura Pifer designed this clever cover-up with a fun twist at the front and back. Learn how to make a DIY Knotted Kimono Wrap here. 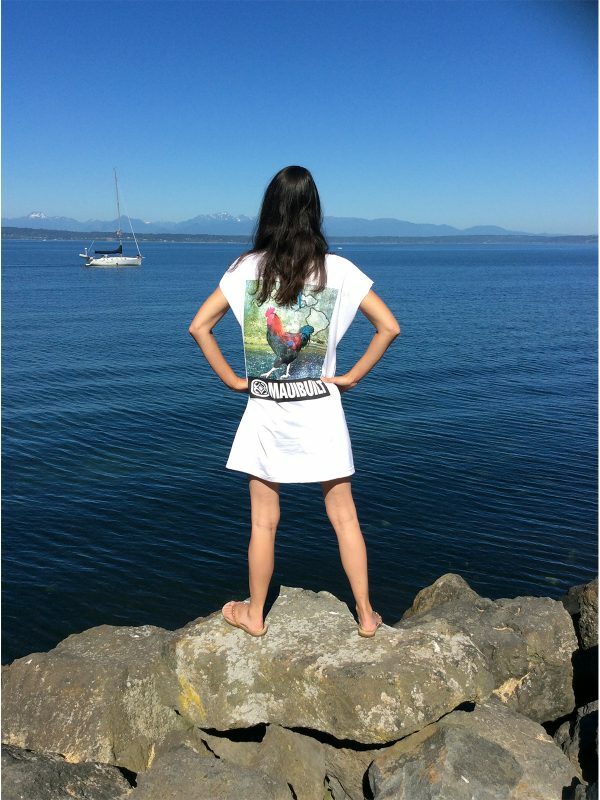 This fun cover-up is upcycled from a larger tee! Cheryl Kuczek shows you how to make a T-shirt Tunic in this tutorial. 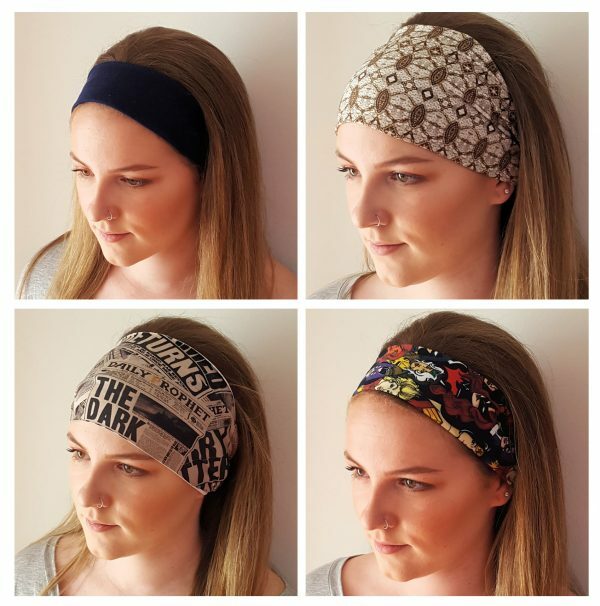 Create a versatile non-slip headband designed by Stacy Schlyer to keep your hair back while at the beach. Click here to find the Non-Slip Headband tutorial. 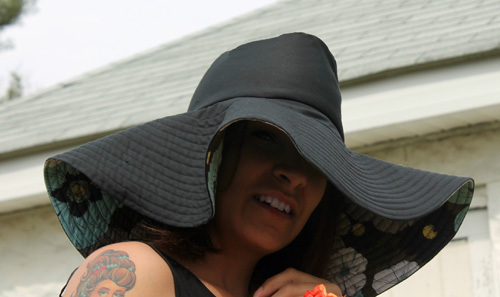 If lots of shade is what you crave at the beach, stitch up one of these large-brimmed hats from Jenelle Montilone. Find the free pattern and tutorial to make a Floppy Fedora Hat here. 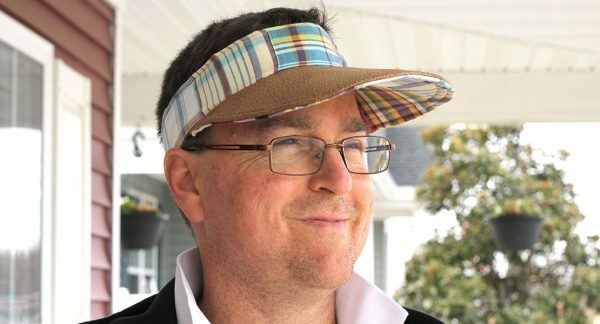 Create a simple sun visor for long walks on the beach with Jessica Abbott’s How to Sew a Unisex Sun Visor tutorial here. 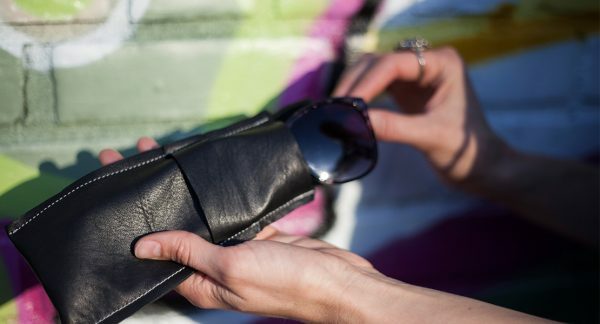 Sew your very own case to protect your sunglasses at the beach with Erin Hogan-Braker’s How to Make a Leather Sunglass Case tutorial. It’s always handy to have a little cash at the beach for ice cream! Keep track of your cash with this handy wallet created by our friends at Art Gallery Fabrics. Find the Money Clip Wallet tutorial here. 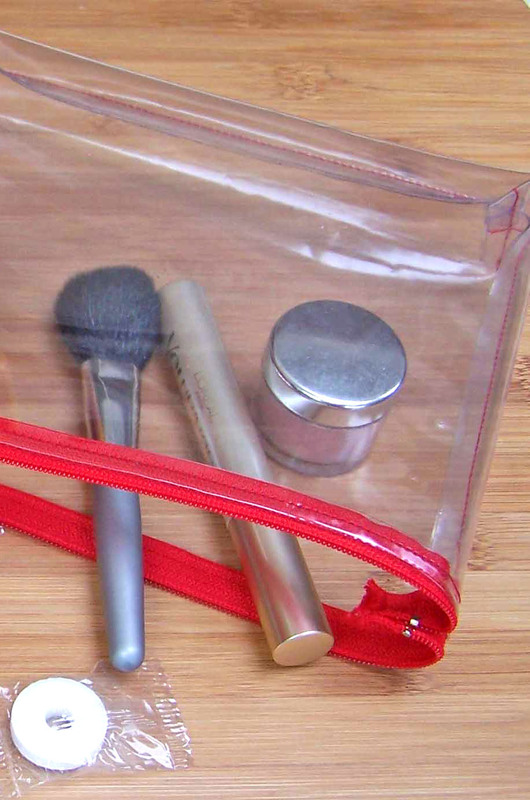 Find exactly what you’re looking for without having to dig around with this make-it-yourself clear zip pouch. 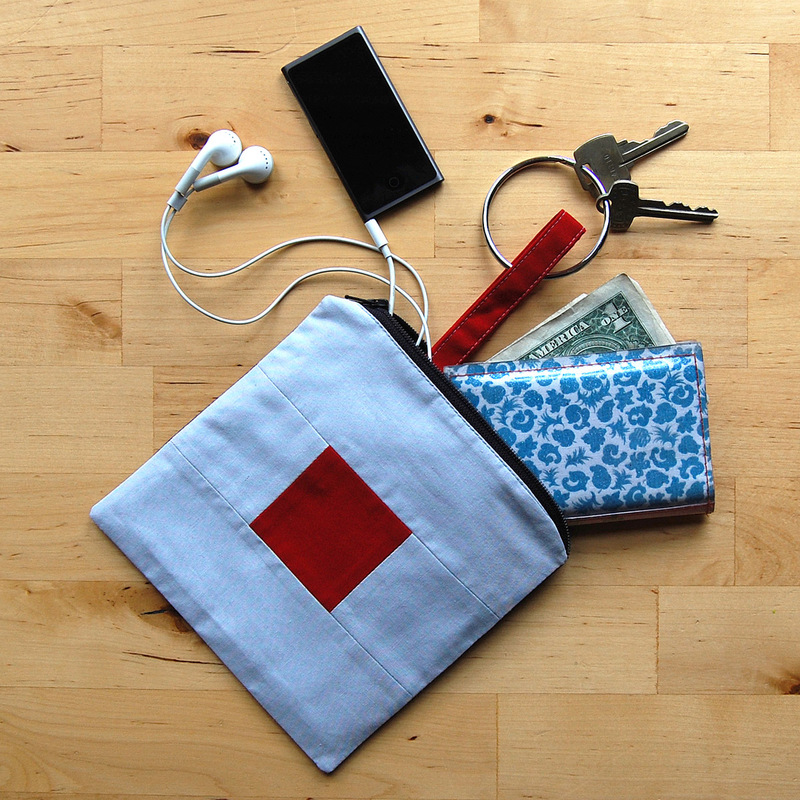 Learn how to make a Vinyl Zippered Pouch here at WeAllSew. 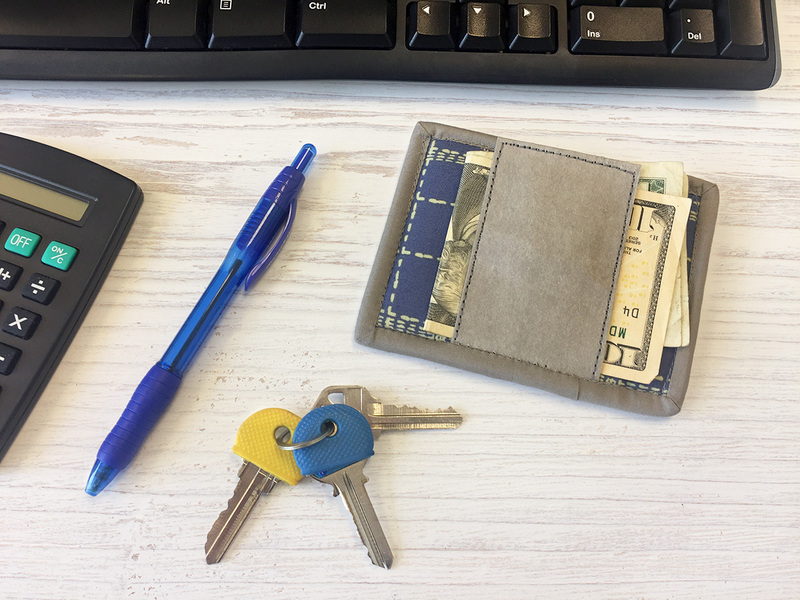 This little square zip pouch designed by Erika Mulvenna includes a small inside pocket and “D” ring to hold your keys. Find the Color Block Zipper Pouch tutorial here. 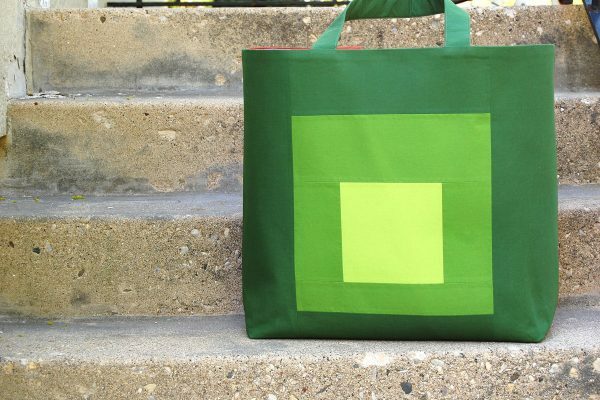 Melissa Mortenson designed this beach tote with straw, bamboo handles, and a fun fabric. 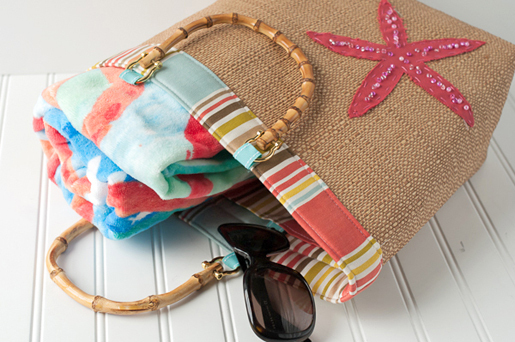 Learn How to Make A Beach Bound Tote of your very own at WeAllSew. 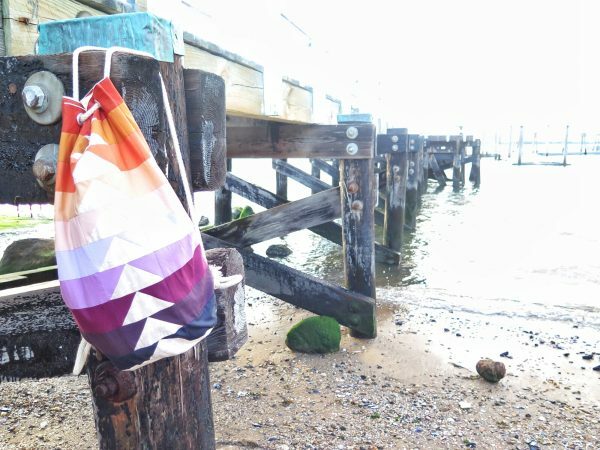 This fun patchwork bag made by Giuseppe Ribaudo is perfect for a visit to the beach. Find the Flying Geese Patchwork Bag tutorial here. This oversized tote stands up tall with a wide-open top and can easily hold multiple beach towels and supplies. Get the Color Block Tote Bag tutorial here at WeAllSew. Make a simple individual sized throw for the beach that includes handy tie straps for rolling up when not in use. 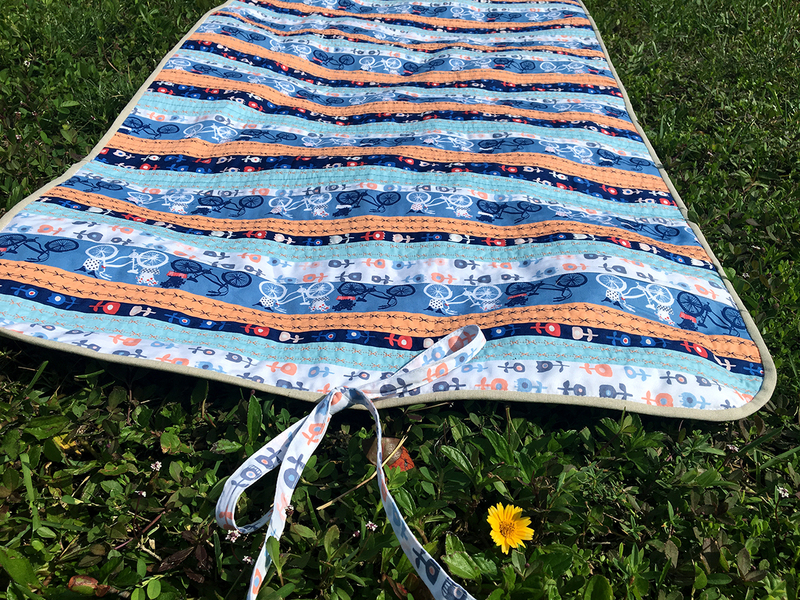 Find the Relax Anywhere Mat tutorial designed by our friends at Art Gallery Fabrics here. Share a beach picnic with a friend or two on this summer stars quilt designed by Faith Jones of Fresh Lemons Quilts. 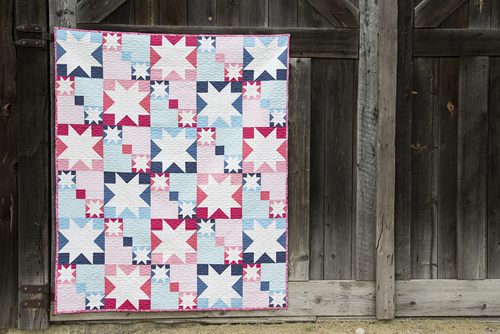 Follow along with the Summer Sparkle Quilt-Along to make this quilt. Roll-up your beach blanket and carry it away with this super-handy carrier. 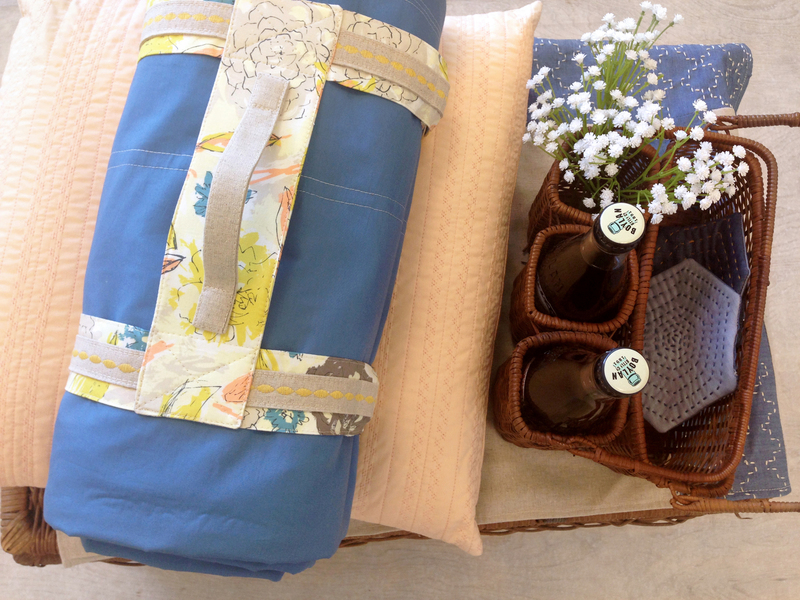 Learn how to sew a Blanket Carrier with this tutorial at WeAllSew.